Strawberries are one of the first summer fruits to ripen. The most cultivated berry in the country, strawberries are grown in every state, with the majority coming from California and Florida. The long growing season runs from January through November. 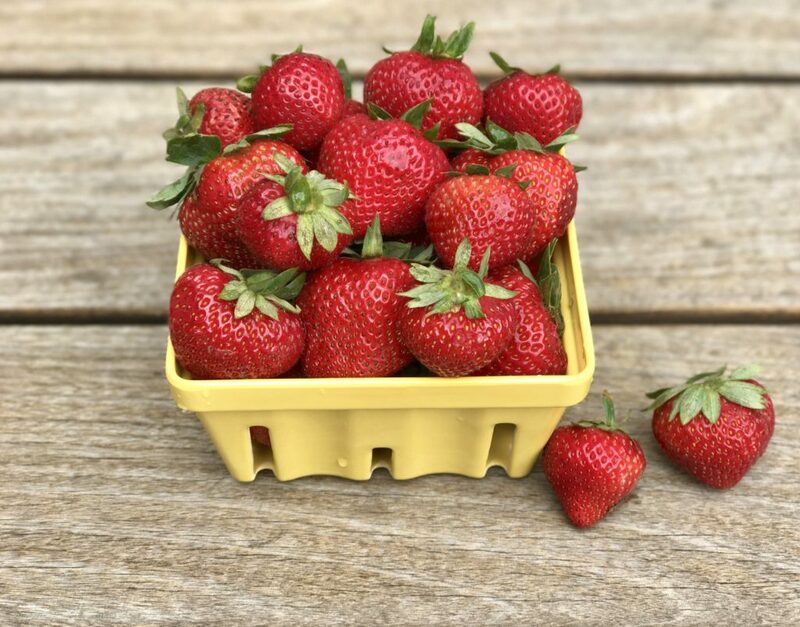 But peak strawberry season is April through June, so don’t wait: go get some! A perfectly ripe strawberry from the farmer’s market is best enjoyed straight up in its pure natural form. But they also make fantastic additions to smoothies and desserts, and some people enjoy them in salads too. 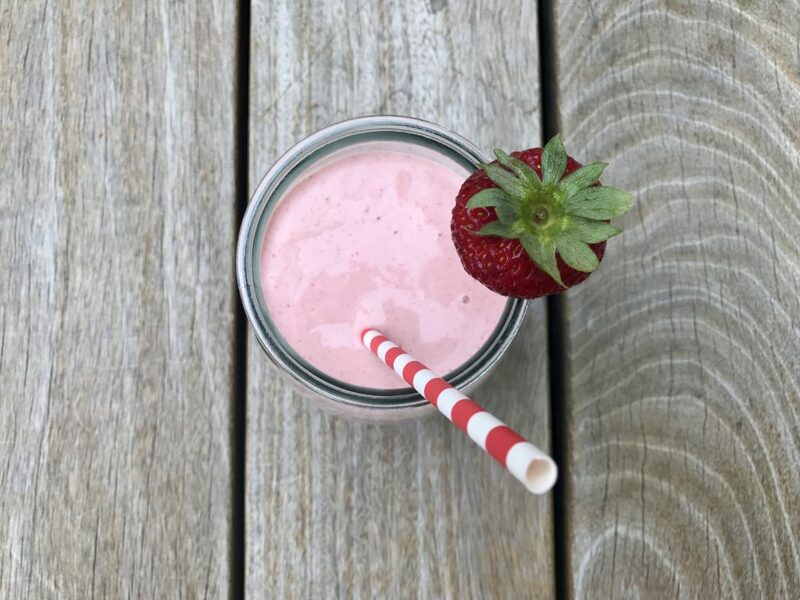 This is my recipe for a simple strawberry smoothie with just a touch of added agave syrup, so the delicious ripe berries don’t get overshadowed by cloying sweetness. 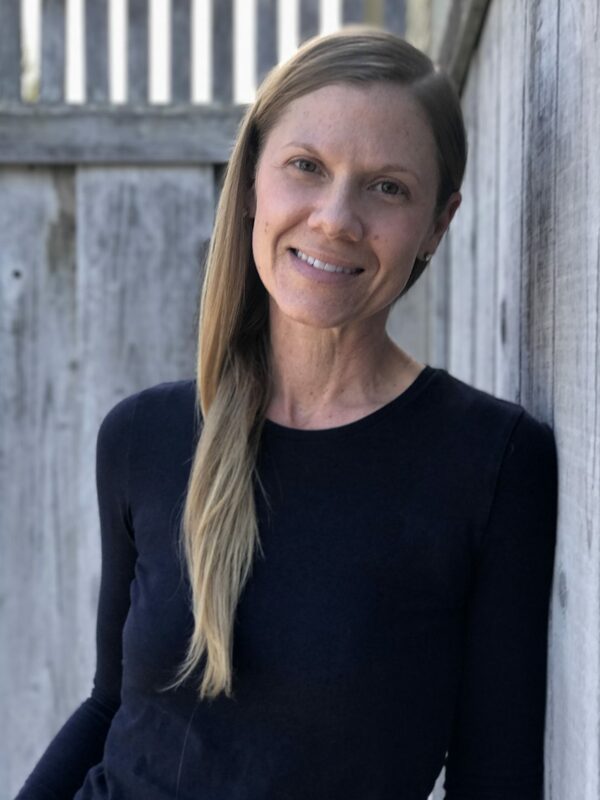 I make mine with Icelandic yogurt, almond butter and almond milk, which I think combine for a great texture and a lot of calcium and other nutrients, all without too big a dose of dairy. 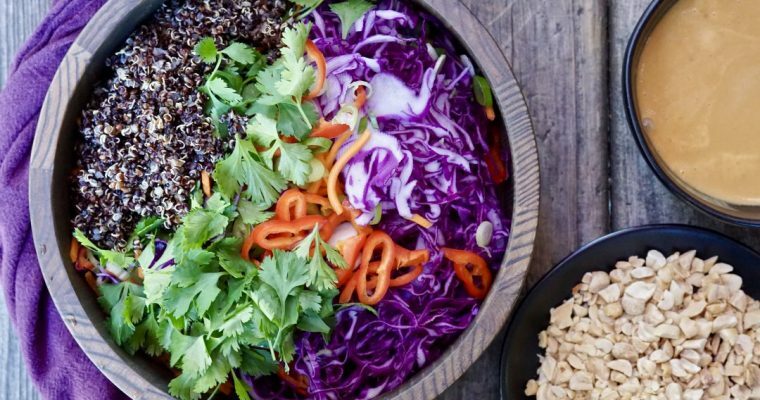 You certainly can play around to find a combination you like. This is a great breakfast smoothie, but my older son loves it as an afternoon snack on a warm day. Step 1 Place all the ingredients into a blender and blend on high for 1 minute. Step 2 Garnish with a whole strawberry. 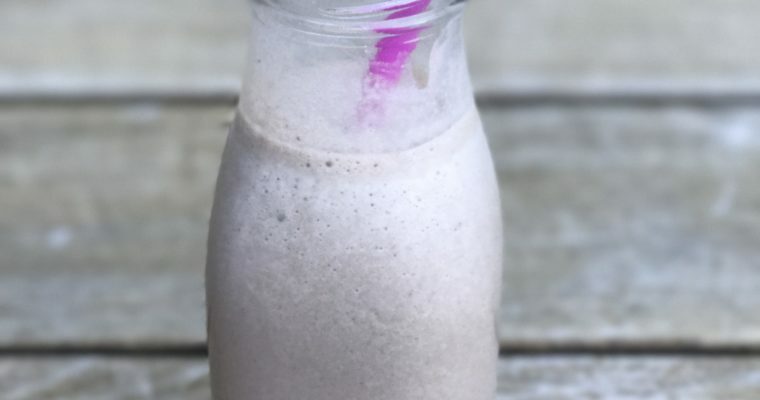 This is my mom’s blog, and this one of my favorite smoothies that she makes, which is why I now make it for myself often. 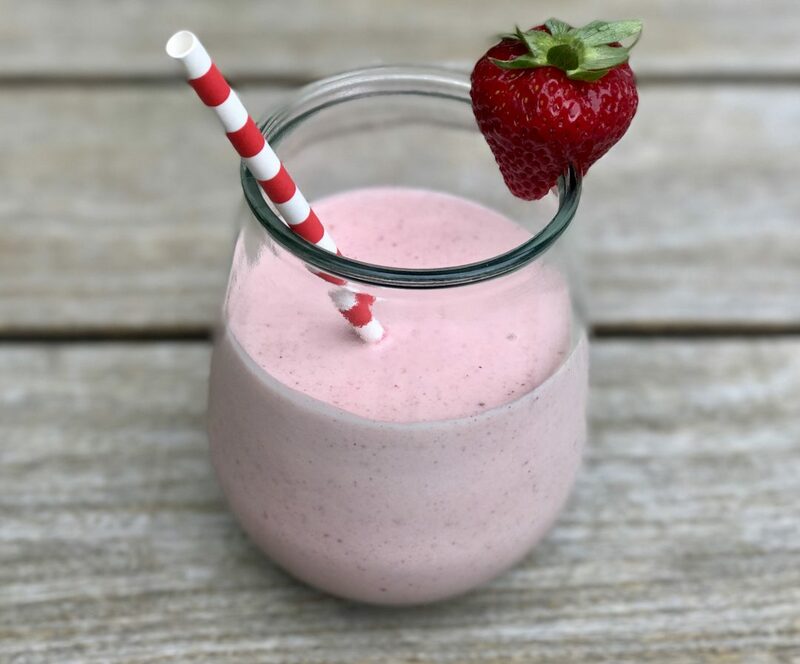 The strawberry smoothie sounds yummy, easy and something my whole family would enjoy. Will be giving it a try soon!